Let's face it. Dehydrated food is never going to have the taste and texture of fresh food. Some of it comes closer than others, but it's not the same as what you can whip up in your own kitchen. But the reason you carry it is to give a bit of variety to a menu that otherwise is more about 'taking on fuel' than 'fine dining'. 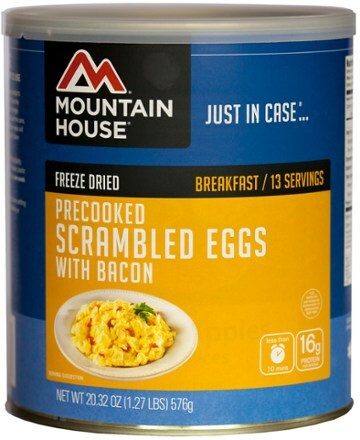 Maybe its just because my partner had just tried to eat the Mountain House bacon and eggs. By comparison, the ham, eggs and peppers was a lot tastier. In fact, while I ate all of mine, she was unable to eat more than a few bites. When I tried to finish the remainder of the bacon and eggs I was a bit disgusted, but because I was still hungry, I ate it anyway. 'Taking on fuel', indeed! The biggest problem of most dehydrated food is that the particles that have to be reconstituted have to be very small for the water to soak right through. That results in a granular texture in some dishes, but it also means that those the water can get into more easily can be larger. The ham, peppers and eggs had bigger chunks, and I found the taste of each was distinguishable and the overall texture wasn't too bad. I had the Propacks and while the serving size was adequate for my partner, it was too small for me. I'd suggest a package and a half to two packages as reasonable for an active person. Standard cook-in-the-bag methods (add water and wait) saves fuel and limits packaging waste. Just pour in boiling water, reseal the bag, and wait a few minutes. The reason I'm posting this is because I'm headed out for a week in the bush, and I'm reviewing my options for the food I want to bring. 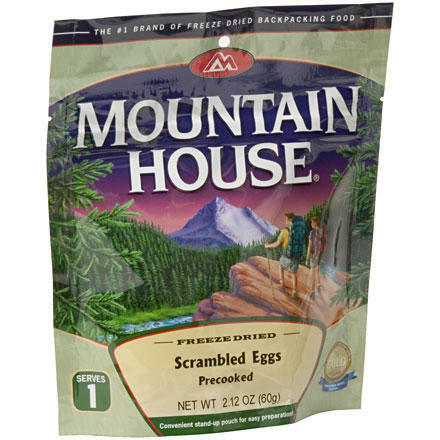 I'll be shopping in a day or two, and the Mountain House ham, peppers and scrambled eggs will be on my list. This was awful. I tried it and didn't like it. My husband tried it and didn't like it either so we ended up just throwing it away. It tastes nasty. 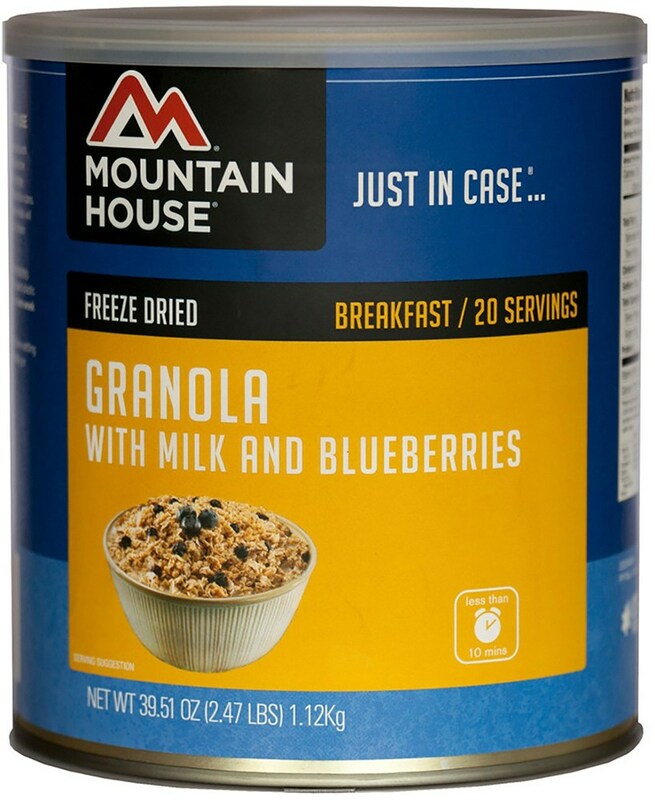 I think we will stick with the granola and blueberries for breakfast from now on. Eggs on the trail sounds amazing. However, dehydrated eggs are still a no go. Plenty of protein but lacking in taste. Yeah, dehydrated meals are convenient, but skip the dehydrated eggs and go with other options. 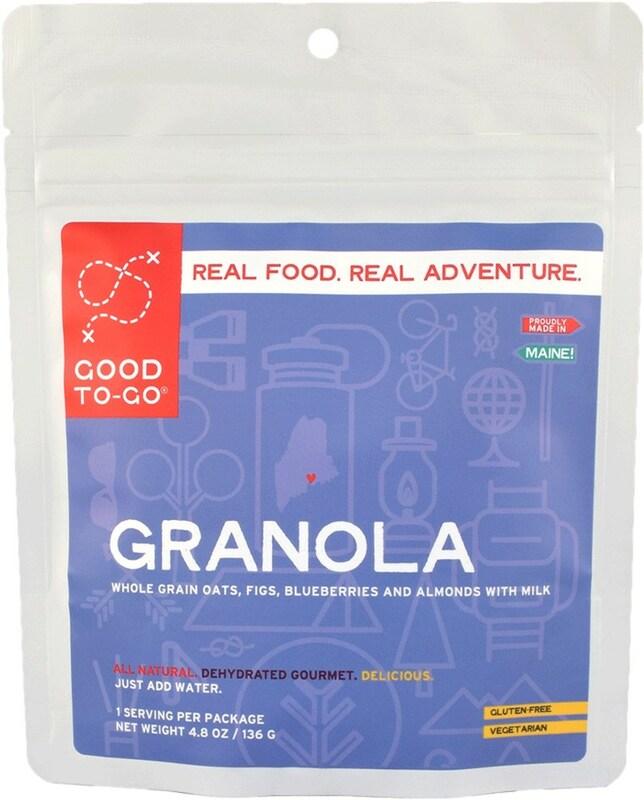 Oatmeal, breakfast bars, granola... ANYTHING BUT THIS! I'll start off this review by stating my love of eggs. LOVE eggs. Absolutely love. I love them so much that I still continue to be suckered by the consistently regretful purchase of dehydrated eggs. In a perfect world, I could have a delicious scramble in the backcountry. However, this world is not perfect and dehydrated eggs are still hard to swallow. I'll admit, I'm a little biased when it comes to all dehydrated foods. Actual cooking of actual food still beats any dehydrated product. It's a luxury item, when it comes to weight and pack size penalties, but actual food made with actual cooking still beats dehydrated meals any day. However, the convenience of dehydrated products have to be considered, especially on solo trips. 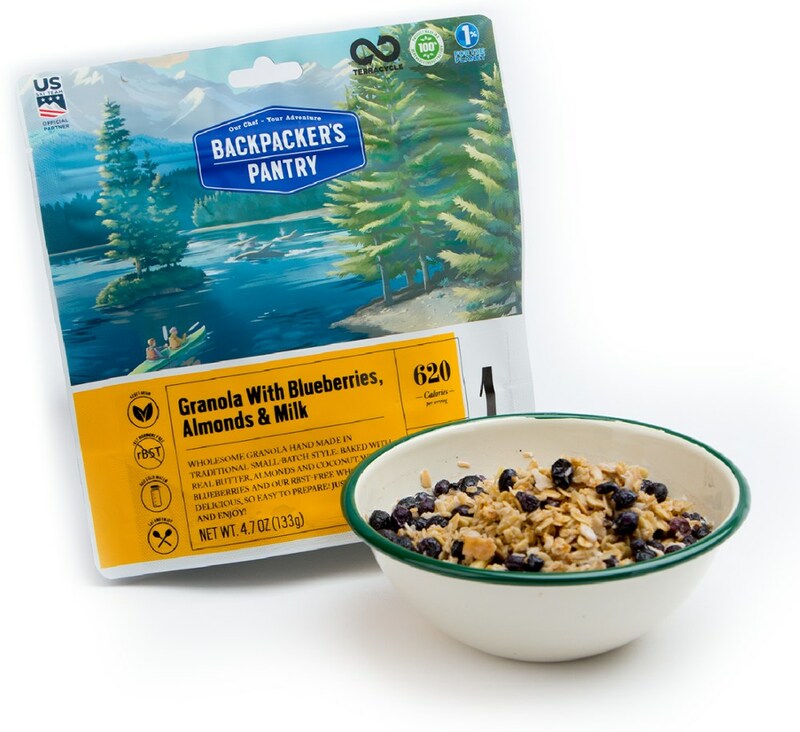 Pack a 700ml kettle, a spork, stove, and you can make a meal and eat it right out of the packaging. So I can definitely understand forfeiting a bit of taste for saving on weight and pack size. But, this product truly tastes horrendous. I had difficulties with the last few bites, but since I'm stubborn and I hate wasting food, I put it all down. Disgusting. I'd rather balance an egg on a spoon throughout a 10 mile hike than purchase this product again. It literally tastes like flavored foam. You're better off with any other breakfast option besides this one. For the final slap in the face, this meal costs 6 dollars. 6 dollars for getting disappointed and bummed out. But I'll concede. This purchase was my fault. The classic case of buyer's remorse. Maybe in the near future they'll perfect the dehydrated egg. Maybe it'll be in some distant future where they scoff at our current rudimentary methods. But for now, I'll stay away from this product. 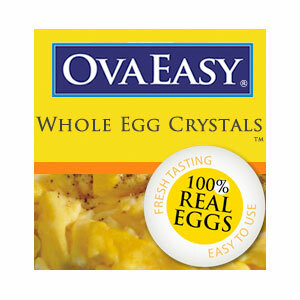 I have reviewed several different packs of dry "eggs" from different companies. I don't know why suppliers and outfitters always insist on packing these things. But avoid eggs! They're like eating old soggy foam, and don't even taste like eggs. Ate this one morning while backpacking. It came out watery even though I left it to hydrate 4 minutes longer than suggested, also it just didn't taste very good... i mean it was alright, and when you are hungry it will work, but there are better breakfasts. The ham was still crunchy even after extra time. Never did taste the peppers, though i saw some in there. I guess breakfast is a good start to the day, but don't expect miracles with "eggs". This meal would be awesome if it wasn't for the eggs and ham. Energy = yes, Taste = no. It is horrible and this from an ex-Marine who is used to eating powdered eggs. These freeze-dried meals are the best of their kind that I have EVER tasted. They are lightweight to transport, made from quality ingredients and easy to make. We just had to boil the water needed, pour it into the bag and wait for a few minutes. These eggs tasted great; I would just make sure that you bring the water filter needed to have the water for the food. 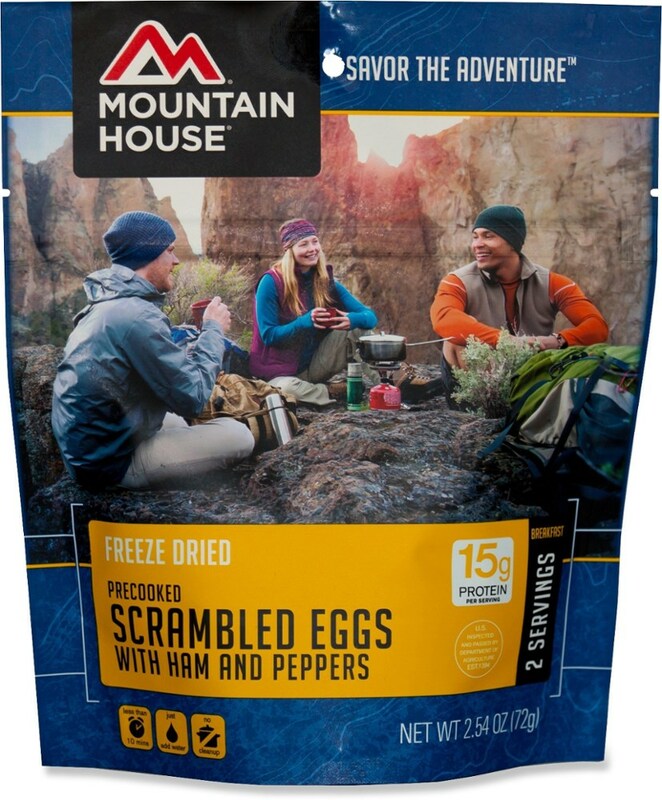 CampingMaxx reviewed three mountain house products and each has an identical review except that the type of food is changed in the fourth sentence.